When you teach English abroad, you could have the opportunity to develop your teaching experience as well as your students’ language abilities. As part of teach abroad programs, you might study methods to help non-native speakers better grasp and comprehend the English language. Later in your academic career, you might even be able to apply those techniques in your own classroom. And, teaching abroad programs may be available throughout the globe! Depending on your own travel goals, you could choose to teach English abroad in both native and non-native speaking countries. Not only could this potentially benefit a wide-range of students, but it could be an opportunity to explore a new part of the world. Plus, when you teach abroad you may have the chance to apply for a TEFL, TESL, or another certificate at the end of your program. Putting this certification on your resume might be the push you need to pursue a future career. Just think, your study abroad experience may not have to end when you complete your semester away from home. It could continue on as you use the skills and knowledge you studied while teaching English abroad throughout the rest of your life. What’s the Difference Between TEFL and TESL? Both TESOL and TEFL programs are a way for students to teach English. But, while both have the same goal, they differ in how and where they teach. TEFL is an acronym for “teaching English as a foreign language.” As part of TEFL programs, you could study effective ways to teach English to non-native speakers in their home country. This is one of the most common ways to teach English abroad. For example, you could be teaching English to French students in France. Many of these students might be learning English to become more involved with international business or other career prospects. Others still might be moving to an English-speaking country in the future and want to develop their capabilities. TESOL stands for “teaching English as a second language.” As part of these programs, you could teach English to non-native speakers in a native-speaking country. For example, you could teach English in Ireland to recently immigrants to help them better adapt to their new home. Depending on who you want to teach, and where you want to study, TESL or TEFL may be more prevalent. For more information about various ways to teach English abroad, speak with potential program representatives. Where Could You Teach English Abroad? As you prepare to teach abroad, you may find you have almost unlimited countries to study in! For instance, you may feel more comfortable studying and teaching in a country where you already speak the language. Not to mention, this could make it easier to navigate the country during your travels. In that case, pursuing a TESL program might be a perfect choice for you. This could also be a great choice for students who haven’t studied abroad or traveled previously. The familiar language could make this a stress-free first time abroad. Or, you could choose to study TEFL in a non-English speaking country. This could be a chance to jump into a real-world English teaching scenario. When you arrive, you could practice TEFL techniques with other English speakers and faculty in your program. Then, you could practically apply that knowledge by instructing in an actual, non-native speaking classroom. By doing this, you could experience what it might be like to actually work in a TEFL center. Below are few locations you could travel to when you teach abroad. Adventurous students could try teaching English abroad in China. 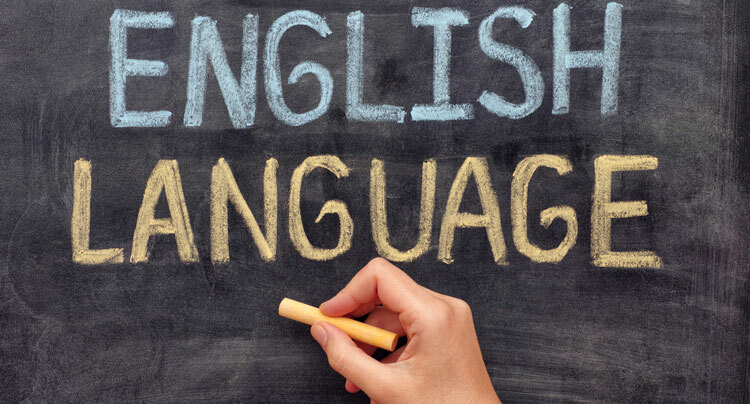 Here, your TEFL courses could be conducted primarily in English. But, you could apply your knowledge to classes full of native Chinese speakers. This way, you could see how your life might be if you pursue a career in TEFL. Not to mention, by studying in a country that speaks another language, you could have the chance to pick it up yourself. Stepping outside the classroom, you could start to pick up bits of Mandarin or Cantonese. Some teach abroad programs may even offer intensive language courses to teach the fundamentals of Chinese prior to your trip. Germany could be a great place for you to take part in teach abroad programs because it offers equal parts of a foreign and familiar language. While you may be teaching some Germans English, a large portion of the population may already speak English. This difference might make your adventures a little easier. Instead of getting lost in a slew of German, you could ask for directions in English. Or, things like museums might provide English translations of their exhibits. As you may know, Australia is primarily an English-speaking country. Due to this, you might feel more comfortable teaching abroad there! For starters, classes might be conducted in your native language. Not to mention, your teaching practice courses might be with other English speakers as well. These classes could provide constructive feedback for your courses or lesson plans. And, you might not have the added stress of working with an unfamiliar language outside of your classes. You could navigate the continent with relative ease. No more translating street signs for you! When Could I Teach English Abroad? You could choose to teach abroad during almost any semester during your academic year. In fact, you could even extend your teaching abroad experience from a single semester to an entire year. You might even be able to split your time between two different countries. That way, you could stay longer if you find yourself loving your time instructing abroad. Teach English abroad programs are more commonly offered during the traditional fall and spring semesters. In these programs, students could have the chance to expand their teaching skills and knowledge before eventually move towards teaching their own classes. Many schools are used to students studying abroad during these times. Because of this, your advisers may be more equipped to help you accommodate this experience in your schedule. Shorter programs may also be offered during the winter and summer semesters. These programs are typically shorter to fit into the break period. Therefore you might not have to alter your curriculum schedule. Many of these programs only last 2 to 3 weeks. Because of this, it might be a stepping stone for students who haven’t studied abroad before. They could see how comfortable they are traveling alone before committing to a longer program later. While you might be focusing mainly on teaching abroad during your travels, you might find there’s more to it! In addition to teaching, programs could develop a number of classroom related skills and knowledge. Education majors especially might be interested in developing these tools in an actual classroom. Studying from a textbook might not offer the same experience as working with and planning for your students. Taking this knowledge back home with you might even enhance your own classroom etiquette. What is Teaching English Abroad Certification? As part of some teach abroad programs, you may be able to work towards a TEFL or TESL certification. This certificate demonstrates that you have studied English as a second language teaching strategies. To earn a certificate, students may be required to have taken part in a set amount of hours of certified classes. In addition, they may also require students to have practically applied their knowledge in a real-world classroom. Students could complete these requirements as part of their teach abroad experience. In fact, many programs are designed to meet certification requirements. Please note that not all teach abroad programs may offer steps towards certification. This might be due to time constraints or general program parameters. For more information, speak with a representative from potential programs. Practicing your teaching knowledge in the classroom might be exactly what you’re looking for in your study abroad program. But, did you know it could also have potential future career applications? Listing your teach abroad experience on your resume could demonstrate many things to future employers. For example, it could show some of the following. And much more! In short, it could show that you’re dedicated to your field and willing to think outside the box to achieve your goals. This could be especially helpful for students who want to go into the teaching field. As part of your university’s education concentration, a teach abroad program could demonstrate additional in-classroom experience. You could even think of it as an additional semester of student teaching. Not to mention, it might also be a great experience to have if you’re looking to apply to bilingual schools. Or, if you’re considering teaching English abroad as your career, this study abroad program could the first step to being ready to apply for available positions. Before boarding a plane, it’s time to find a perfect way for you to teach English abroad. To start your search, browse the list of links of this page. Clicking a link provides you with brief description about a program. This could outline things like program length, course structure, and maybe even planned trips. While you’re there, you could also request more info from the program itself. Or, you could choose to refine the list of programs using the menus on this page. You could select your preferred country, duration, or teaching audience. This could help you find the perfect teach abroad program that lines up with your own goals. Learn how to teach English while immersing in the vibrant Ecuadorian culture. Live TEFL Prague provides a practical course and qualification for Teaching English as a Foreign Language — TEFL. It's defined by hands-on teaching experience, use of modern teaching methods and technology, and an experienced team of TEFL trainers. What can a volunteer do at these centers? ECD volunteers can assist local teachers in their roles. ECD volunteers can teach children different motor skills and kinesthetic skills. ECD volunteers can play games and rhymes with children.